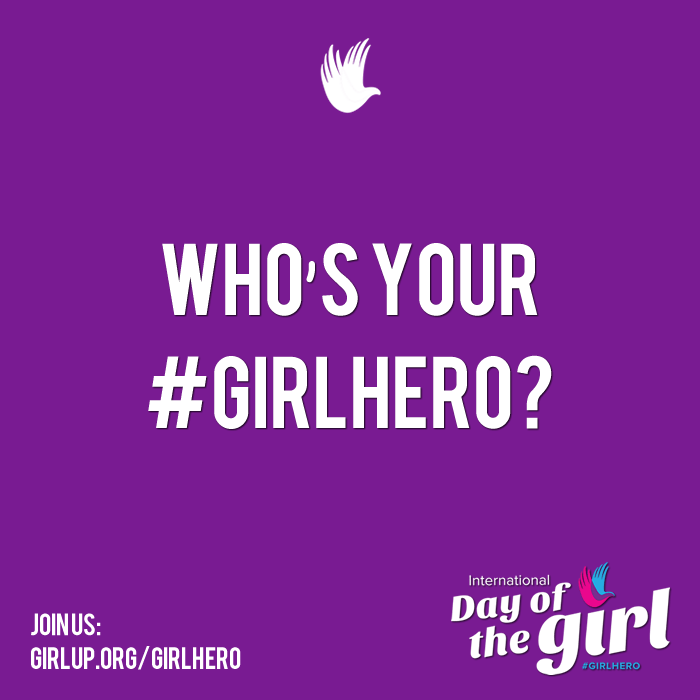 October 11, 2015, will be the International Day of the Girl. This year’s theme is The Power of the Adolescent Girl: Vision for 2030. To celebrate, Girl Up suggested we share a picture of an inspirational #GirlHero. 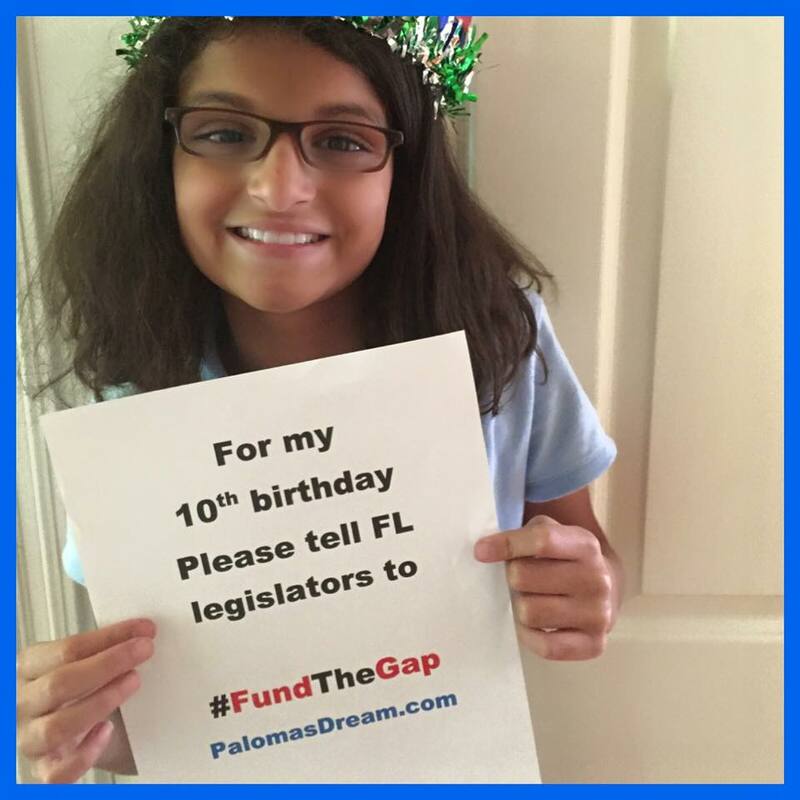 This is Paloma Rambana, age 10. At the 2015 Dining in the Dark event, Paloma was the recipient of the Paula Bailey Inspirational Community Member Award. Among other reasons, Paloma was nominated for this award due to her work to “fund the gap,” to secure funding for children who previously fell into a “gap” — a lack of funding for mobility training and equipment for visually impaired children between the ages of 6 and 13. Watching Paloma receive the Paula Bailey award was especially poignant for me. In 2007, I nominated my late mother-in-law, Barb Kiger, for the award. The evening itself was crazy. I had to catch a flight to Washington, D.C., at around 8 p.m., so I had to leave the Dining in the Dark event early. I had made arrangements for my husband and children to be there, both to see Barb receive the award and to drive her home afterwards. That year, the nominees did not know who was going to receive the award, but due to the nutty logistics of me having to leave to catch a flight, I had been tipped off that Barb “might” want to have family members present (phew!). Although Barb and I were extremely close, I am not sure she ever quite forgave me for not inviting my father-in-law, an act which simply wasn’t on my radar screen, what with trying to keep the big secret that she WAS THE WINNER! My husband and son as Barb is escorted to accept her award. Barb would have loved watching Paloma receive the Paula Bailey award. The two of them may have been on opposite ends of the age spectrum, but they share so many characteristics: tenacity, resourcefulness, and a sense that they must use their many capabilities to help others. When Paloma got up to give her acceptance speech, I expected a general “thank you” and “isn’t this lovely?”. What I heard instead was heaps of credit given to her teacher, Jennifer. I was moved by her selflessness and grace. I didn’t think of all reasons why I couldn’t; I thought of all the reasons why I must. This is why Paloma is my #GirlHero. GENERAL INFORMATION: Visit this link.